The Dalestorth Scooter Rack is now in place and awaiting YOUR scooter! Thanks to Mr Price for doing a great job of the final fix. The rack was paid for by the Vine Tree Charity Shop in Skegby and money raised by the children via the disco. A big thanks to the Vine Tree's generosity. The rack is for the use of all children although it is sited on the KS2 playground. 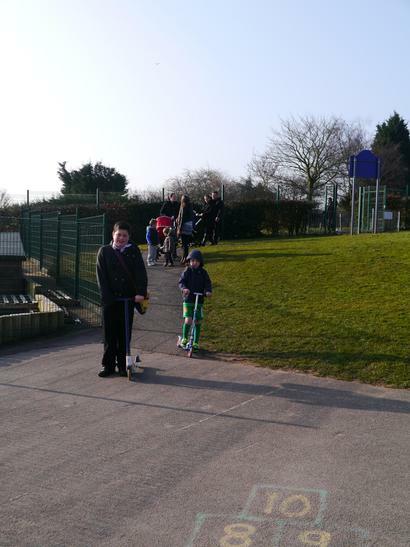 George Dudley has scooted everyday so far! Well done George. Please think about leaving the car at home and walk/scoot this Spring. p.s. Please remember to push scooters once on the school grounds.